For years I was convinced I was bad at plants – just 100% black thumb. The african violets in my dorm room died a slow, painful death. None of the cuttings from my mom’s christmas cactus made it for more than a few weeks. My miniature cactus withered and died. The problem? I didn’t realize different kinds of plants need different care. Also, laziness. Fast forward a few years. I have a good friend who’s a total plant lady. Really, check out her instagram for proof – @theorybeyonddesign. She makes it look so easy, so I decided to give it another go. After all, I’m older and wiser now, right? Right? Yeah, so. 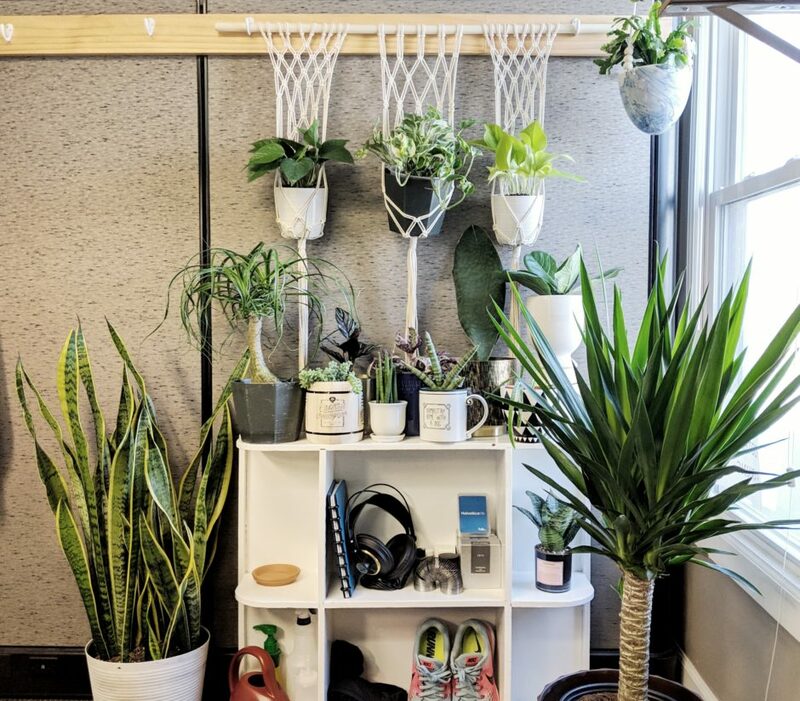 I’ve collected a whole houseful (and officeful) of plants, and so far it’s going a lot better. I picked the plants most likely to survive in low light. I read up on how to care for each one. I feed them distilled water. And yet: somehow I’m still finding new and interesting ways to torment them. 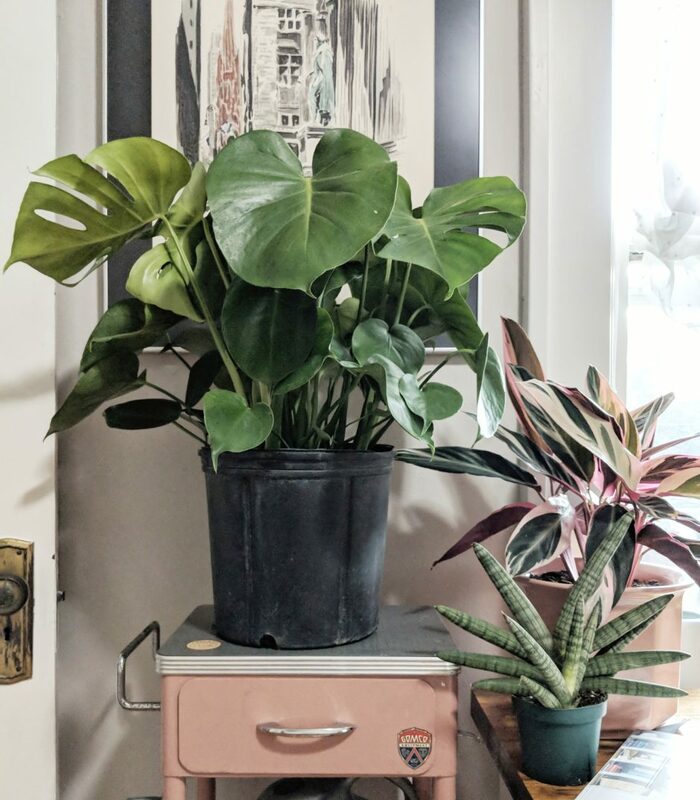 I’m pretty sure you can only kill so many houseplants before you lose your millennial card, so here’s a cautionary tale about the many ways I’ve nearly murdered mine. Who’d have thought giving plants too much water is a really fast way to kill them? Well apparently it is. Some plants are more prone to root rot than others, so if they sit in wet soil, well… you know. 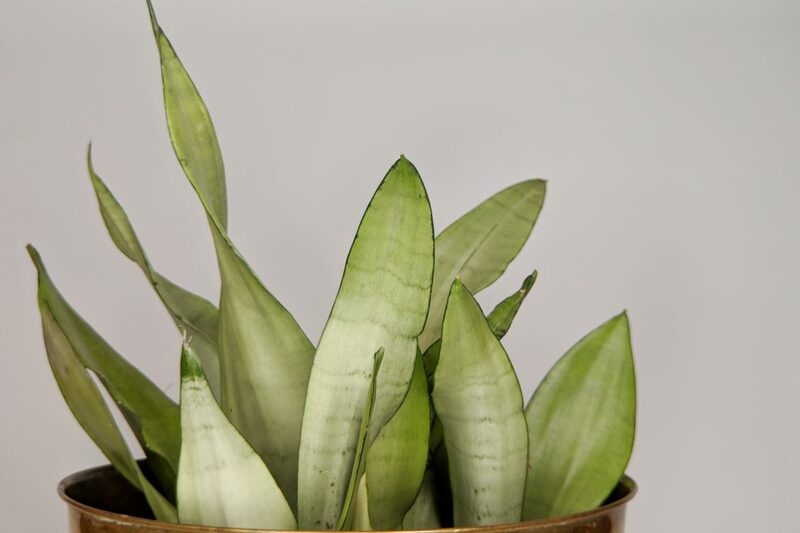 I nearly did in a snake plant that way, but fortunately only a small offshoot died before I noticed. 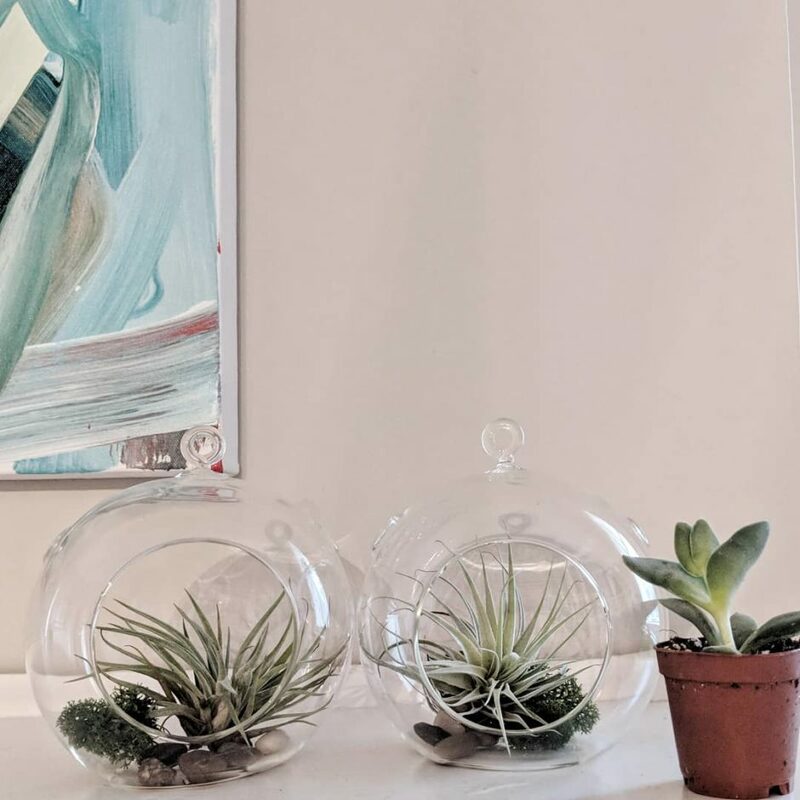 I did kill an air plant by overwatering – the bulb at the end didn’t dry out completely after I watered it, and all the leaves rotted off. Whoops. How I’m avoiding it: Once I figured out how important this is, I repotted all my plants in plastic pots with drainage holes. The plastic pots are ugly and get water everywhere, of course, so those go inside decorative planters. I put in a well-draining soil mix at the same time. Mine is equal parts potting soil and coco coir with a generous scoop of perlite and a little orchid bark mixed in. Most of my plants only need watering when the soil is almost completely dry, so every now and then I stick my finger in the soil. If the top two inches or so are dry, they get a drink. Yes, plants need light. Obviously. But I still thought it would be worth a try to use a little succulent planter as a dining table centerpiece, even though it ended up being about eight feet from the window. Haha, nope. They got all stretched out and pale, and started losing leaves. How I’m avoiding it: In the case of the succulents, I moved them to a bookcase right under the window, and that helped quite a bit. Now that it’s winter and there’s not as much sun, I also put a desk lamp with a full spectrum LED bulb right over them. Some plants, on the other hand, don’t appreciate tons of direct sunlight. It can cause leaf drying and spots from sun burn. It can also make temperature changes a little too intense. Hot sun in the summer can be a death sentence and so can cold drafts in the winter. How I’m avoiding it: After some trial and error, I think I’ve finally got my plants in windows they like. The more light-loving ones go in the southwest windows, and the shady ones are in the ones that face northeast. You can also arrange them so that bigger plants shade smaller ones a bit. Alright, so this doesn’t technically kill them (usually) but it can make them look pretty brown and crispy, like they want to die. This is especially true for tropical plants. After all, their natural environment is crazy humid. How I’m avoiding it: This one is pretty easy, actually. I got humidifiers for the rooms that have the most plants. I either turn them on and off each day, or in the case of my office, put it on a timer. My favorite is this one I got from amazon – the tank is huge, so it will last for days on a low setting. 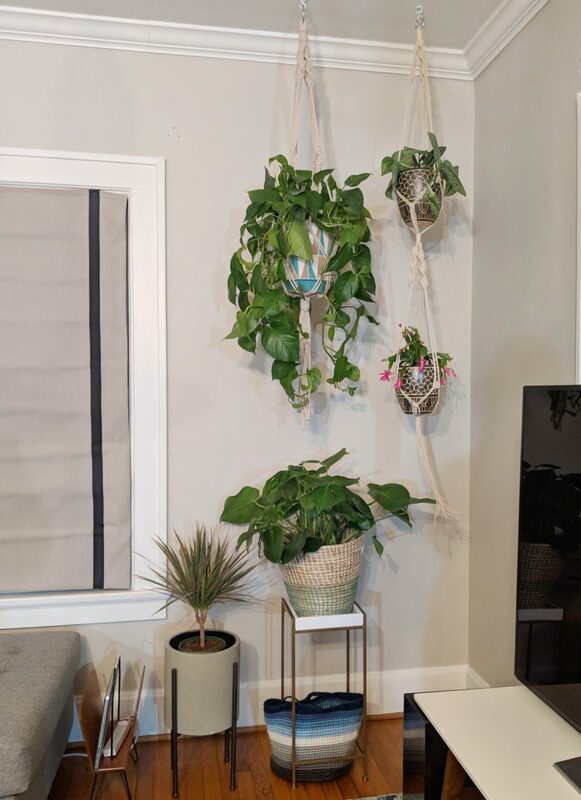 I also added a couple of pothos to my bathroom, where shower humidity keeps them nice and happy. If running a humidifier isn’t your thing, you can also mist them daily with a spray bottle and group them to increase humidity in the immediate area. Let me tell you, they really don’t appreciate this. Heat and AC can push them out of their preferred temperature range. It makes the air drier. Increased air circulation might make the soil dry out quicker. And most of all, it makes other problems really hard to troubleshoot. How I’m avoiding it: Well for starters, you can just put the plant somewhere else. 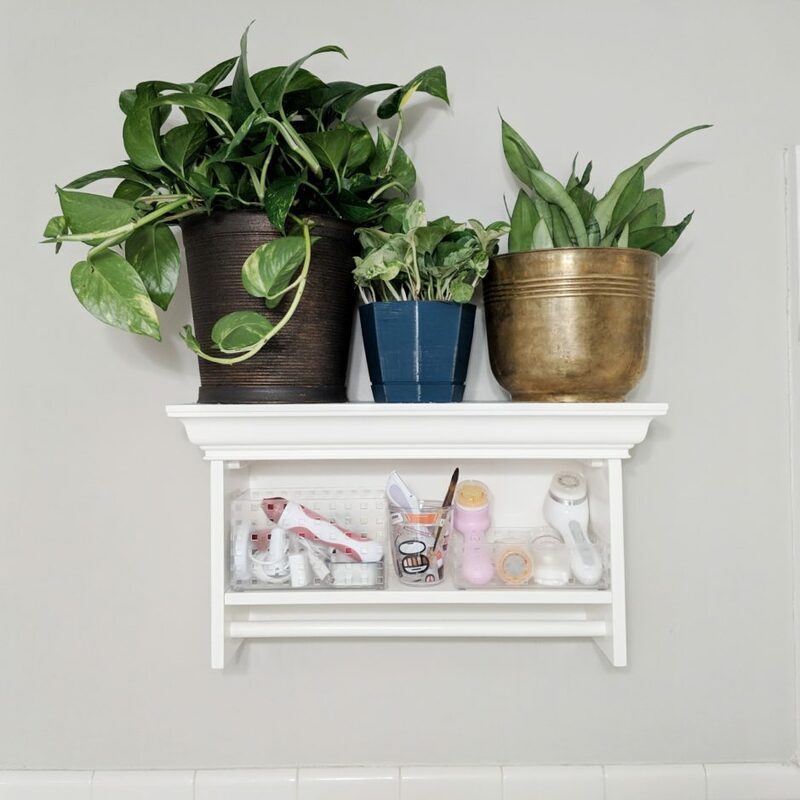 But if that random empty space with a vent would be SO CUTE with a plant hanger, you can close the vent or get a vent deflector to redirect the air flow. And sometimes…. it’s still just a mystery. This is me with indoor herbs, especially basil and cilantro. No matter what I do, they die. More light, less light? More water, less water? More/less fertilizer? Seriously, if anyone can tell me how to keep my spices from shriveling up and dying, I would love your advice. So tell me – what’s the most creative way you’ve murdered a plant?